Last week I was up in Scotland. I knew you would be wondering whether the Olympics effect had gripped Edinburgh as much as London, so I made an effort to record evidence of Olympification wherever I went. 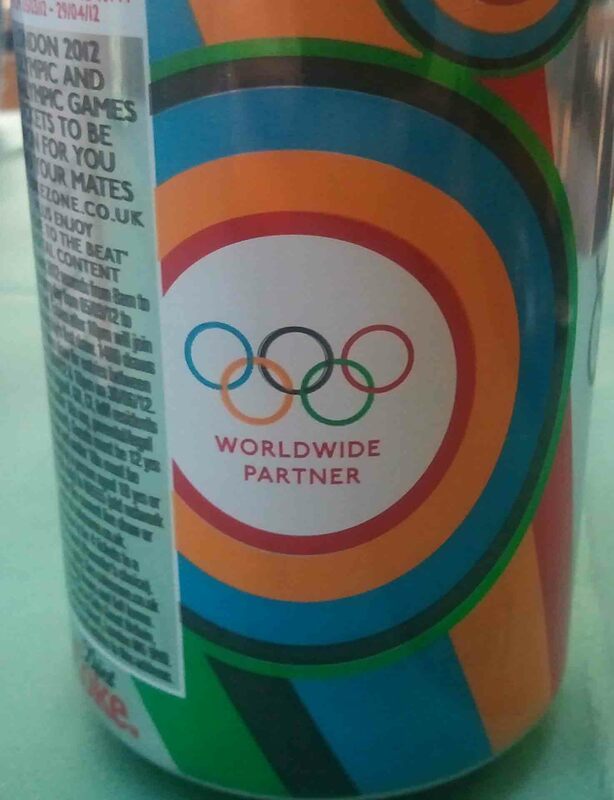 I looked hard and found the Olympic rings gracing various merchandise including the coca-cola can at the University of Stirling above and the mobile phone shop on Princes Street below. So is it fair to say the Olympics are just for London? 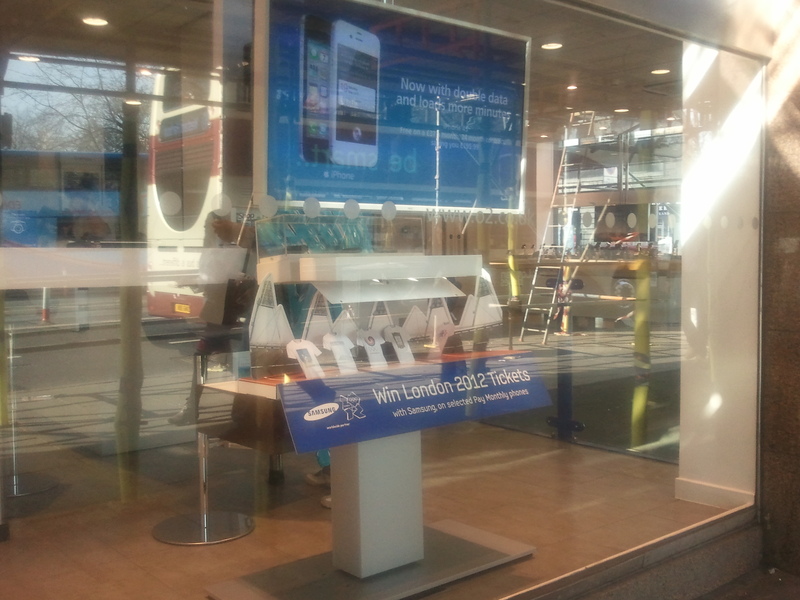 I’m sure the brand campaign is going to embrace every aspect of our activity wherever we are in the next few months. By way of contrast to this corporate message, The Guardian this weekend ran a story about John Carlos, one of the two athletes involved in the “black power salute”, otherwise known as the “human rights salute”, at the 1968 Olympics. 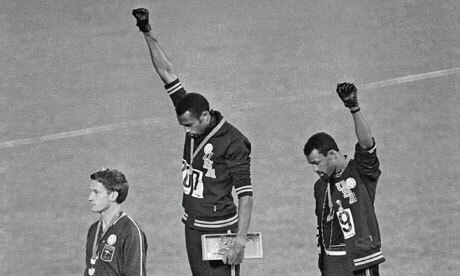 The iconic image from the Games demonstrates the capacity of sport to operate as a political symbol. This is not just the case in times of protest – which are rare – but at every other time as well. Tommie Smith and John Carlos revealed the signifying power of the podium to communicate the success of political systems as indicated by the athletes’ medals. In 1968, the athletes were brave enough to challenge the automatic connection between athletic triumph and national triumph. Smith, Carlos and their supporters, including the sociologist Harry Edwards, showed that a nation can let down its citizens and still win at sport. State investment in sport as a sign of a “world beating” nation (in the words of UK Sport) is predicated on the assumption that this obviousness slips our minds. since then there has been a determined effort to rewrite history. In order to take advantage of Ali’s economic potential, it has been deemed desirable to ‘sanitise’ him. And, as a result, all the ‘rough edges’ are being filed away from Ali’s life story. Sportspeople have huge resonance and political power. Governments, commercial sponsors and the sports establishment know this and endeavour to use it for their own ends. It is no surprise that few athletes choose to make their own political statement – the cost is usually to be exiled from sport until the threat has passed. It is up to the rest of us to defend the sportsperson who dares to speak out.